Culinary Choice is a delicious dairy free, vegan suitable cheese made with coconut oil. Mild in flavour, easy to melt and available in blocks, slices and shred, Culinary Choice Cheese is great on its own and perfect to add to sandwiches, toasties, top up a Gabi’s Pizza or add to any of your favourite foods! Culinary Choice vegan dairy-free cheese is an ideal substitute for cheese in your diet. These flavours have excellent slicing and melting properties and are great for sandwiches, wraps, salads or platters. These are vegan suitable products and will suit your taste and meal requirements for a dairy free cheese. Culinary Choice dairy free cheese and cracker combinations are the perfect snack for the whole family. Available in all our cheese flavours, these grab and go products will keep everyone happy and healthy. Vegan suitable for your comfort but full flavoured for the entire family to enjoy. The original tasty is a smooth flavoured dairy free cheese will keep you coming back for more. Perfectly combined with our premium cracker you will taste the difference and heightened textures to make this an awesome snack. INGREDIENTS DAIRY FREE CRACKERS: Wheaten flour, dark buckwheat flour, salt (non-iodised), water, vegetable oil. DAIRY FREE CHEESE: Water, refined coconut oil [21%], modified potato starch, modified tapioca starch, sea salt, vegan flavor, potassium sorbate (preservative), b-carotene (colour). ALLERGY ADVICE Contains Wheaten flour. Packed in Australia by at least 24% Australian Ingredient. Hints of basil with tomato bring a smooth flavour to any meal. Perfectly combined with our premium cracker you will taste the difference and heightened textures to make this an awesome snack. Flecks of chilli add a little spice to your cheese to highlight full flavour. Perfectly combined with our premium cracker you will taste the difference and heightened textures to make this an awesome snack. The perfect combination of cheese and flavour by adding garlic and herbs. Healthy, tasty and perfect flavour for any meal use. Perfectly combined with our premium cracker you will taste the difference and heightened textures to make this an awesome snack. 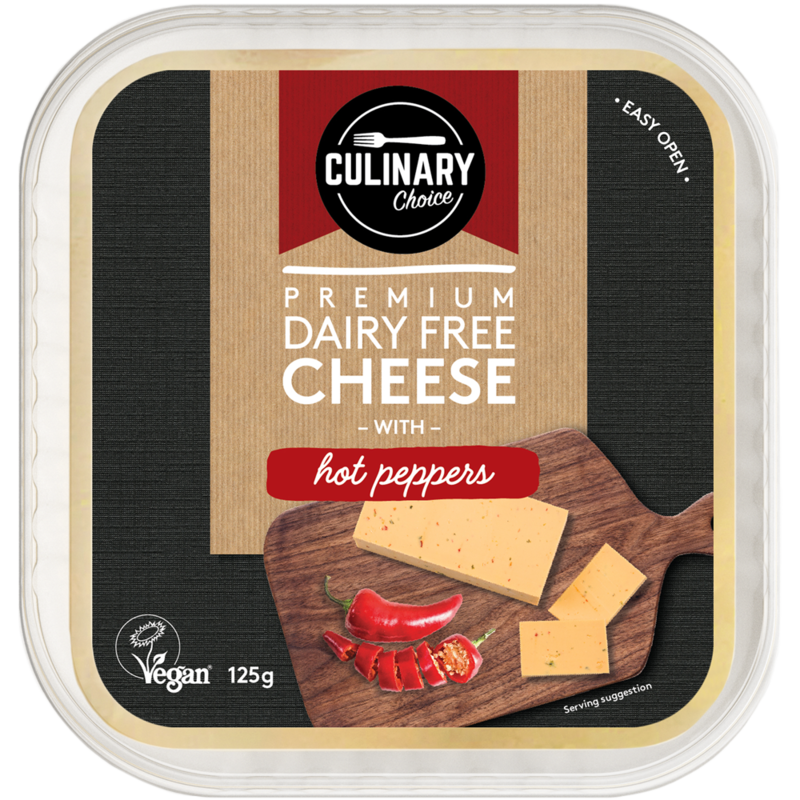 Feel Free - Combine our Culinary Choice dairy free cheeses with your favourite pizza, sandwich, wrap, pasta or whatever your preference to give your meal or snack that extra something. Flecks of chilli add a little spice to your cheese to highlight full flavour. 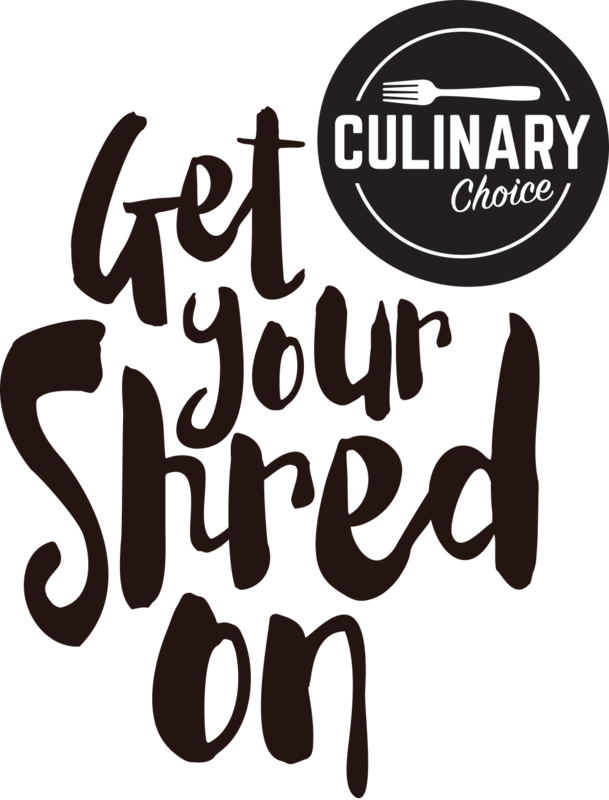 Cut onto a tasting board or shred onto your pizza for something different. INGREDIENTS Water, Refined Coconut Oil (21%), Modified Potato Starch, Modified Tapioca Starch, Sea Salt, Red and Green Chilli Peppers (0.7%), Vegan Flavour, Preservative (Sorbic Acid), Colour (E160a & E160c). Hints of basil with tomato bring a smooth flavour to any meal. Slice into your favourite sandwich or with any savoury cracker. The perfect combination of cheese and flavour by adding garlic and herbs. Healthy, tasty and perfect flavour for any meal use.